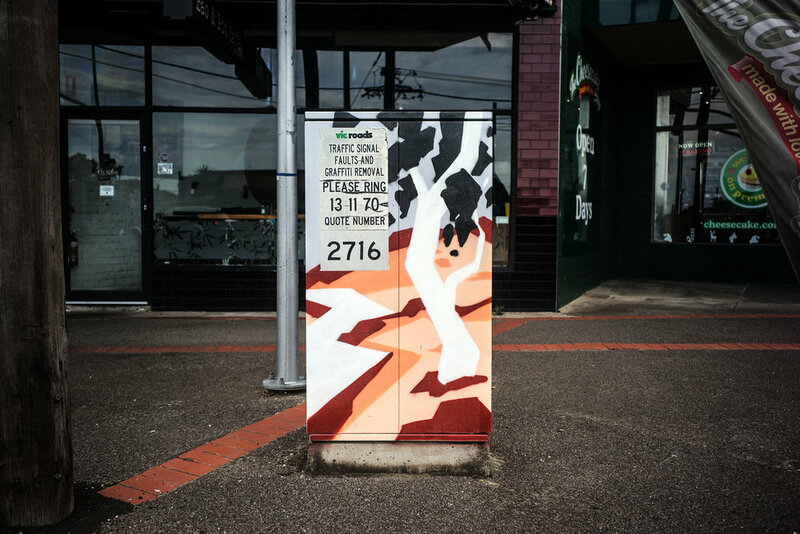 Matter of Fact have partnered with the Niddrie Traders Group to invite leading Australian artists Rowena Martinich and Geoffrey Carran to create the largest outdoor painting in Moonee Valley. 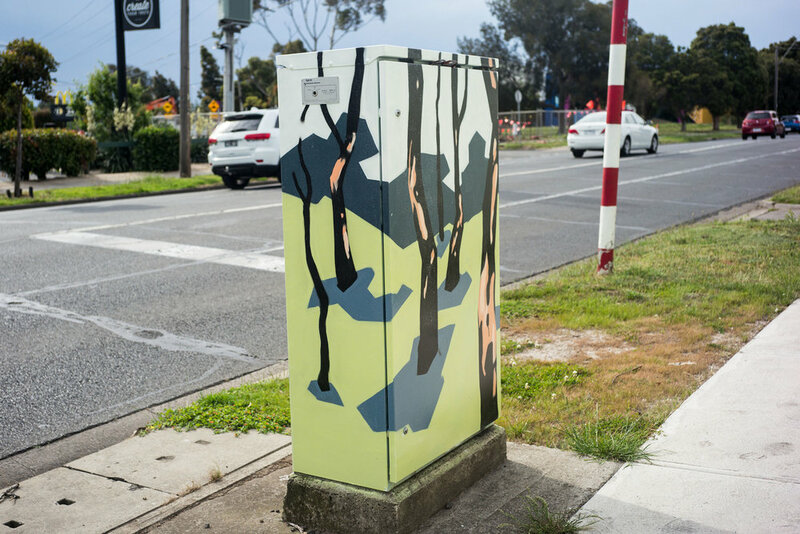 The work depicts Regent Honey Eaters on Yellow Gums, a bird that was once endemic in the area and now is endangered. 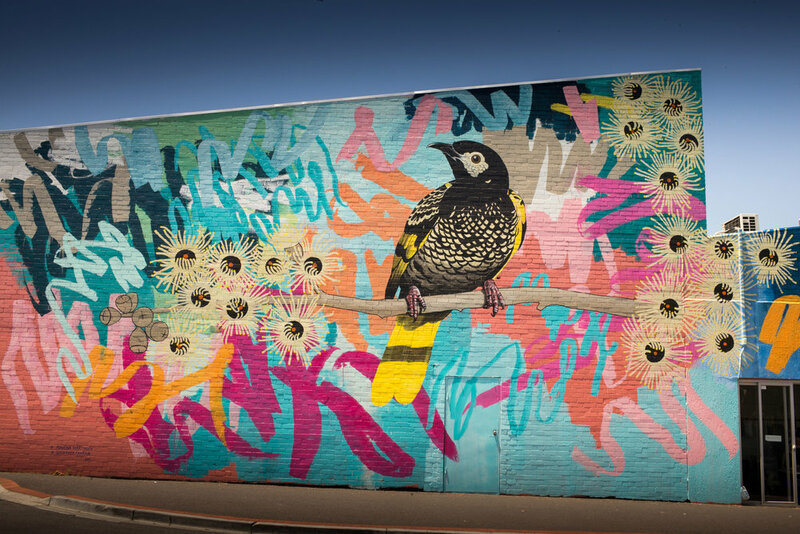 Geoffrey and Rowena have been working closely with Bird Life Australia and have been impressed by the dedicated group of individuals committed to keeping the Regents Honey Eater alive. 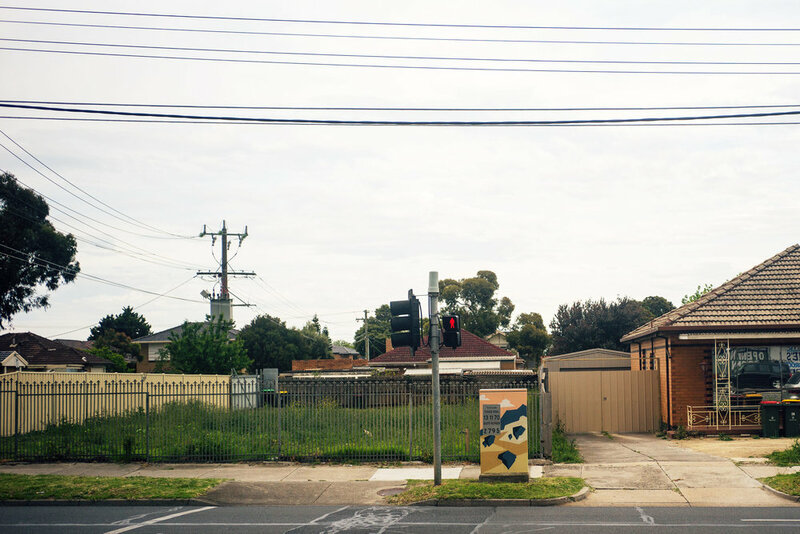 This mirrors the dedicated local community who have found the space and organised partial funding for the project. 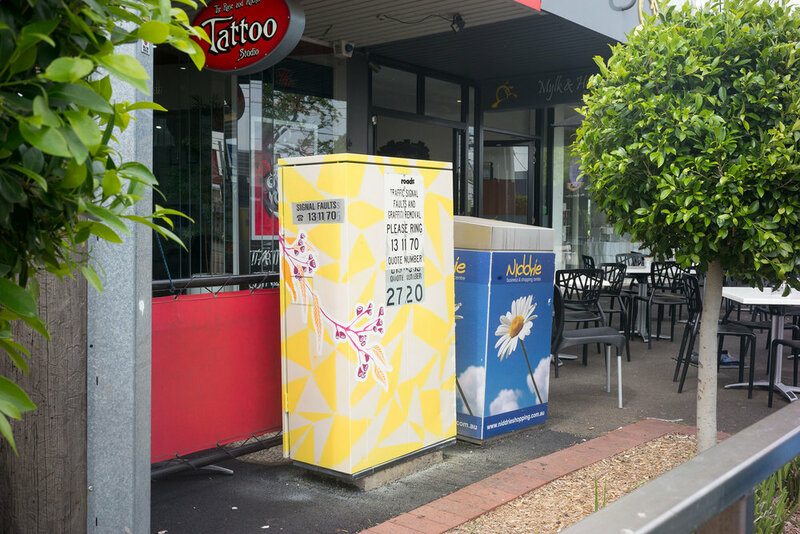 The community groups believe that there place in time is worth celebrating. 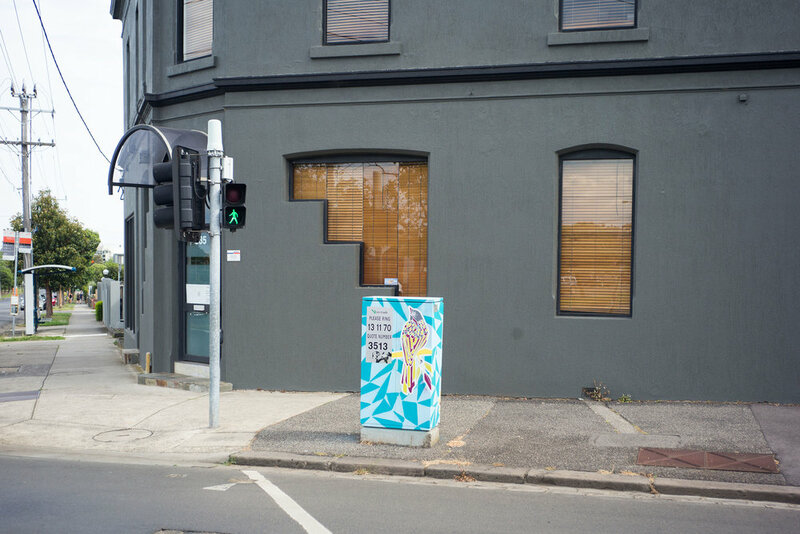 This mural project is a work of significance that Community of Moonee Valley will benefit from as well as draw visitors into the area. 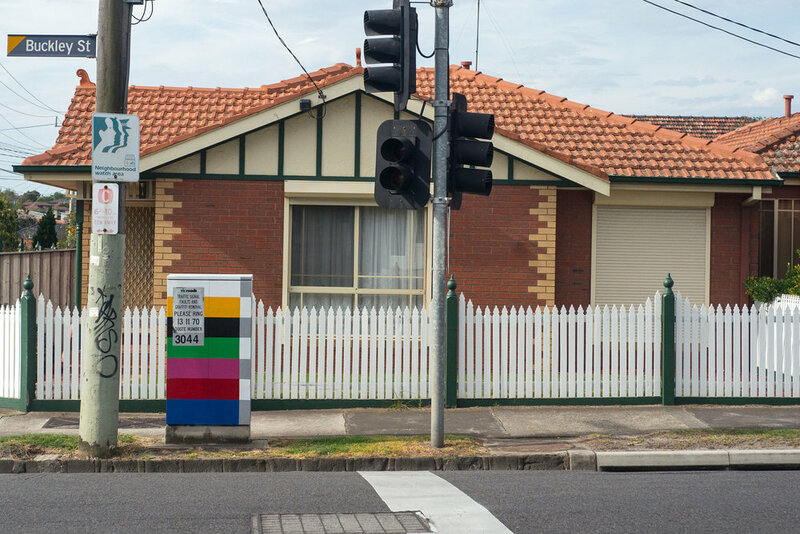 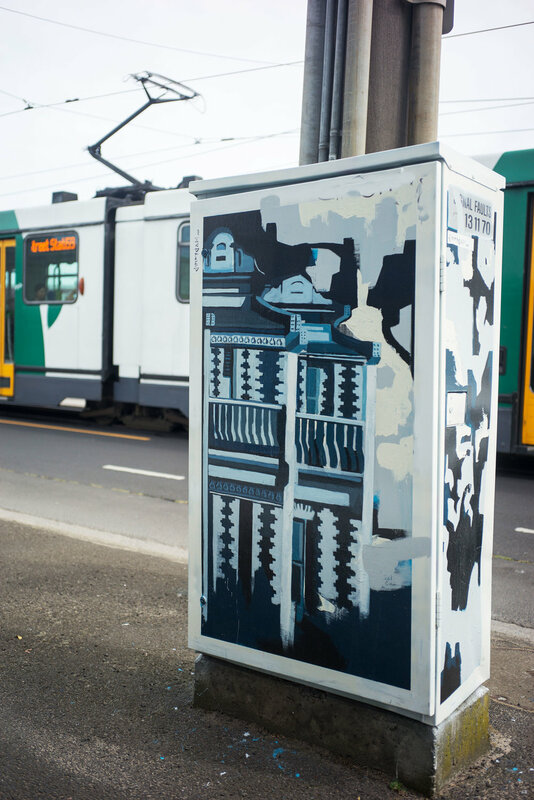 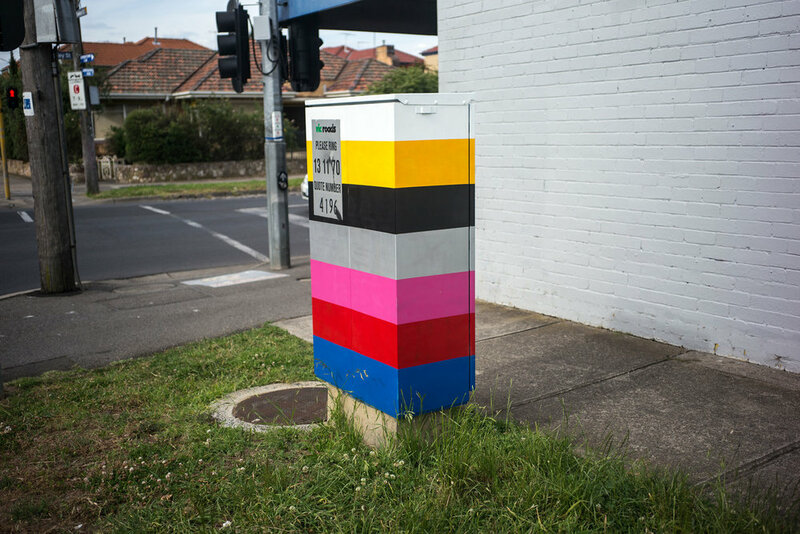 Signals is a series of commissed artworks on signal boxes located in Moonee Valley. 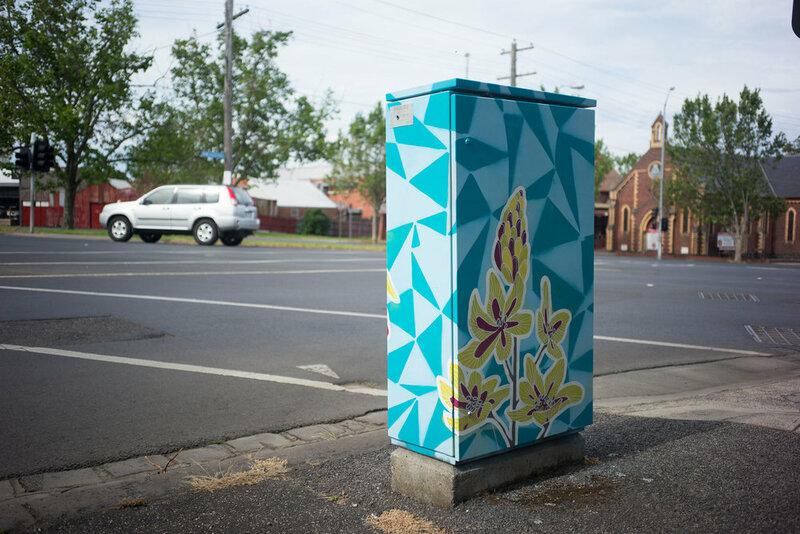 Our goal is to promote arts in public spaces, enhancing our local culture. 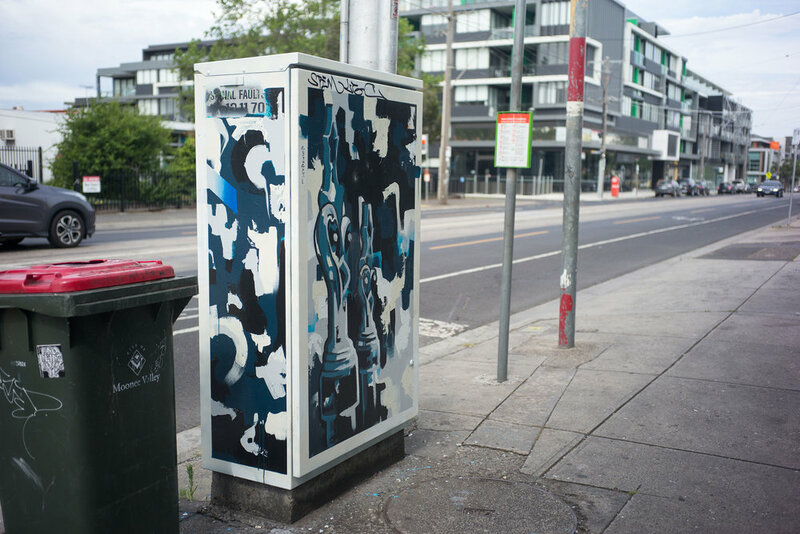 Explore the map to visit artworks.